"Aaron came to us looking for more power than the stock 707 Hellcat produces. After swapping the blower pulley for a 2.75", adding 1050cc fuel injectors and tuning the car made 782/707 at the rear wheels." "Jonathan came to us for modifications to his 2016 Camaro SS looking for more power. We have installed an aftermarket camshaft, aftermarket cylinder heads, aftermarket intake and intake manifold, long tube headers with cats and muffler delete cat-back. The results were 504/434 at the wheels." Scott was looking for more power out of his 6.0L Suburban. He decided to go with a 2.9L Whipple Supercharger. The results were 418 horsepower and 402 torque to the wheels. Jim was looking for more power out of his 6.2L F150 Raptor. After doing long tube headers and a performance tune the time came for a supercharger. We went with the TVS2300 package from Roush Performance. The results were 457 horsepower and 454 torque to the wheels. 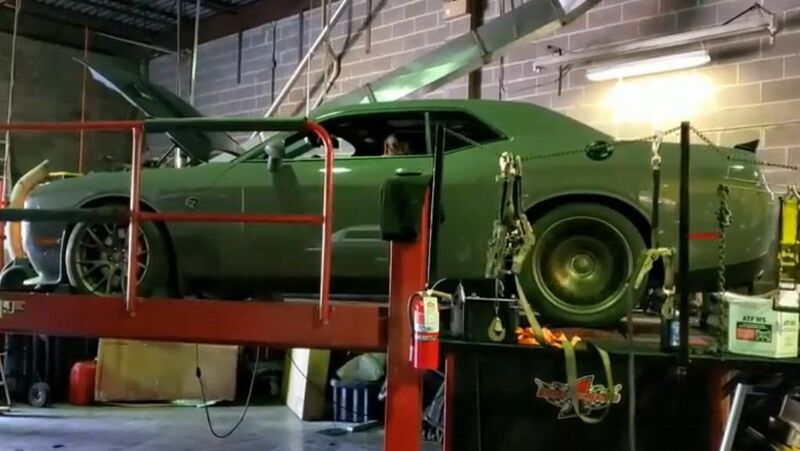 John had more power in mind for his Camaro. He had already done the research and wanted to install a Whipple supercharger. He had already done long tube headers, cat-back, performance camshaft and cold air intake. He added a McLeod clutch to handle the new found power. We added 95 lbs injectors and a boost-a-pump to make sure there was enough fuel. The results were 643 horsepower and 557 torque to the wheels. Andrew needed some suspension mods to improve his CTS-V handling. He uses the car for road racing and is looking to have a 9 "rear end installed along with some suspension bushings. We are in process with the build Currently and will update. Matt had already made a few bolt on modifications like cold air intake and long tube headers. The time finally came for some boost so he went with a Procharger system and had us do the install and the tuning. The results were 552 horsepower and 593 torque to the wheels.